These terms apply in their entirety to all Contracts and shall prevail in the event of conflict with any other. Terms unless varied by us in writing. Any order placed with wellington waste skips which takes its vehicles off the public highway will be at the customers own risk, they will accept full responsibility for any consequential damage that may occur to persons, property or vehicles as a result of this. delay in supply which may be caused directly or indirectly by any circumstances beyond our control, including act of god, fire, accident, breakdown of machinery, shortage of labourer material, or by an act of neglect the part of the customer. The time allowed for loading/unloading is 15 minutes. If the vehicle is kept waiting longer than this Wellington waste reserve the right to charge a waiting time. 2.1 Asbestos, fridges, freezers, televisions/monitors, tyres, fluorescent/sodium lamps, gas cylinders, plasterboard, or any waste deemed as hazardous by an absolute mirror entry in the European waste catalogue (Article 1(4) of the hazardous waste directive 91/689/EC) must not be placed in the skip container unless by prior written agreement with the company. 2.2 It is the responsibility of the hirer to ensure that skips placed on the highway or public places have the permission of the local highway authority and are adequately lit and coned off in accordance with the highways act 1980. Wellington waste skips can organise permits at the additional cost to the hirer. 2.3 The hirer shall ensure that the skip is not overloaded by weight or volume at the point of collection. 8yd skips should be loaded so that it is filled no higher than the top of its sides.12yd, 14yd, 16yd, 20yd up to 40yd roll on roll off are only to be used for light waste or loaded no more than the maximum legal road limit for the vehicles. Wellington waste skips reserves the right to refuse to collect overloaded skips and any costs incurred due to unsafe loads/overloading (including wasted journeys) will be passed on to the hirer. Additional charges may be levied. OVERLOADING WILL ALWAYS INCUR EXCESS CHARGES! 2.4 The lighting of fires in or near skips is strictly prohibited. The hirer will be liable for any loss or damage to the skip container (excluding fair wear and tear) during the term of the skip hire period, and will be charged the current purchased price of the skip. Once a skip has been placed, it shall not be repositioned without prior consent from Wellington waste skips. Moving skips on site could result in inability to collect the skip. 2.5 The maximum rental period is 14 days for cash customers and 28 days for account customers. It is the responsibility of the hirer to request the collection. Failure to do so will result in unannounced collection and/or rental charges being incurred of £0.50 per day. 2.6 The responsibility of the skip remains with the hirer until collected by a Wellington waste skips vehicle. Any skips that are removed whilst in control of the hirer will be charged the full replacement value. Wellington waste skips are registered with the environmental agency as a waste carrier, further all landfill or disposal sites are correctly licensed or approved. Customers using Wellington waste skips landfill or disposal sites do so at their own risk. Wellington waste skips accepts no responsibility for damage or injury of any nature that may occur to persons or vehicles using these sites. Vehicles may only use portions of the sites as are allocated to them. Only waste permitted under the waste permit licenses or exemptions may be disposed on the sites. Wellington waste skips reserves the right to refuse any materials which it considers to be objectionable or unsuitable for deposit on the company’s site. 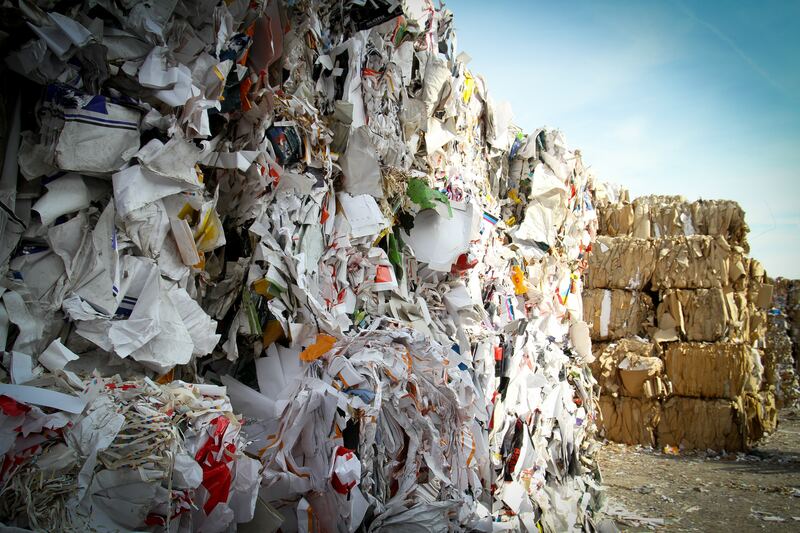 Material for deposit on our sites will only be accepted from registered waste carriers, and must be accompanied by a controlled waste transfer note stating the description of the waste (with EWC code), the source of the waste and the details of the waste carrier, including carrier registration number. Environmental Protection (Duty of care) regulations 1991. All materials are sold on the basis that the weight or quantity is as stated on the conveyance note. Wellington waste skips will not accept any responsibility once the load has been discharged and accepted by the signatory. Unless expressly agreed in writing Wellington waste skips prices are for materials as stated on the quotation. Where the customer requires an alteration the grade or type of material, or where it becomes necessary to supply from another source, an extra charge may be made for any additional costs which may be incurred by Wellington waste skips . Risk in the goods shall be passed to the customer on delivery. All goods remain the property of wellington waste skips until pain in full. Non account holders: Prior to or on delivery of the skip. The owner accepts major credit and debit cards and cash. By accepting these terms you also acknowledge that you are able to accept delivery of your skip on your chosen date.